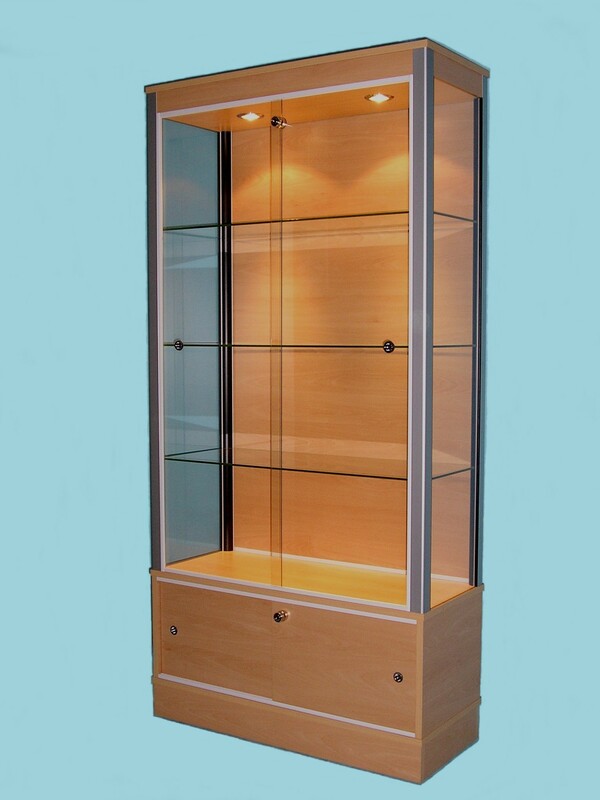 Large Glass Display Cabinets combine all the strength and ruggedness required for the commercial user without compromising on style so they will look perfectly in place in your home. 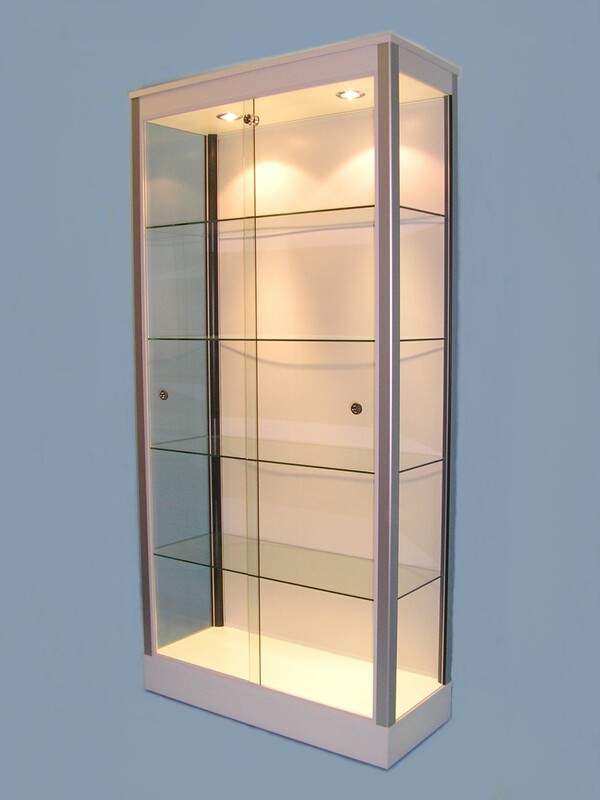 All of the standard range come fitted with high security locks and low voltage lighting with the choice to easily add further adjustable spotlights to the corner posts giving exceptional levels and consistency of light throughout the cabinet with the option to simply upgrade to our energy efficient high power LED lighting to achieve an even better quality of lighting. 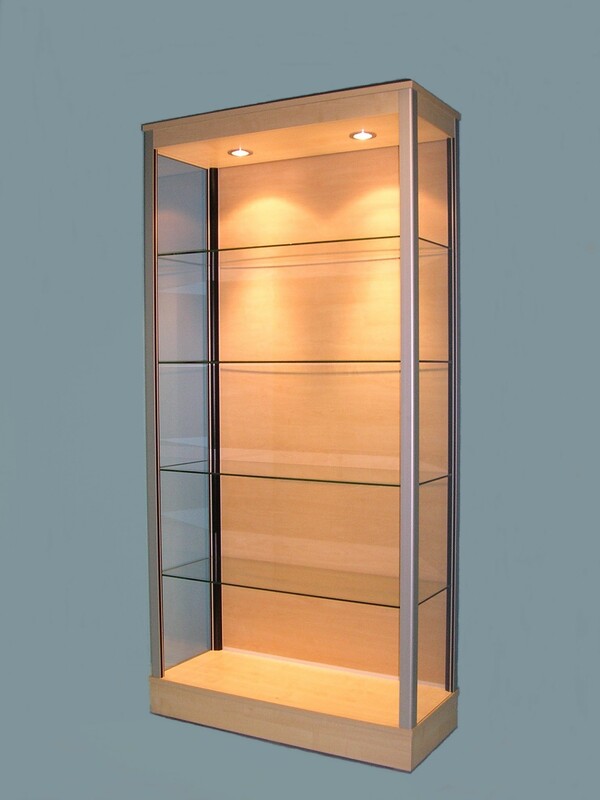 Take our ‘D10’ model for example finished in a beautiful crisp clean white combined with a classic satin silver aluminium corner posts giving a simple but highly pleasing minimal effect with the combination with its solid back creating the ideal backdrop to display against. 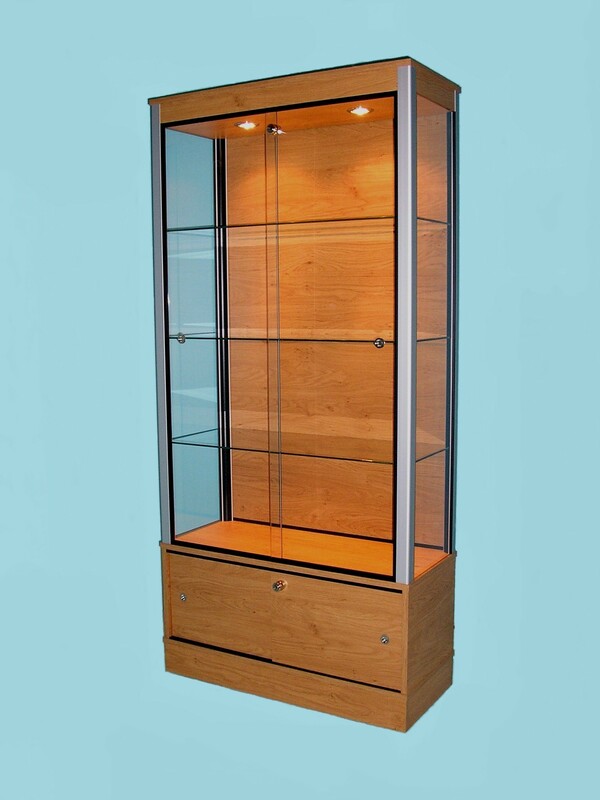 This is the perfect choice for positioning in an alcove or against a wall without concerns that any background decoration may cause distraction to the viewing area, making these cabinets very versatile where they are ideal to use either singularly or to achieve a long impressive run, and are particularly suitable for placing back to back to create an isle. 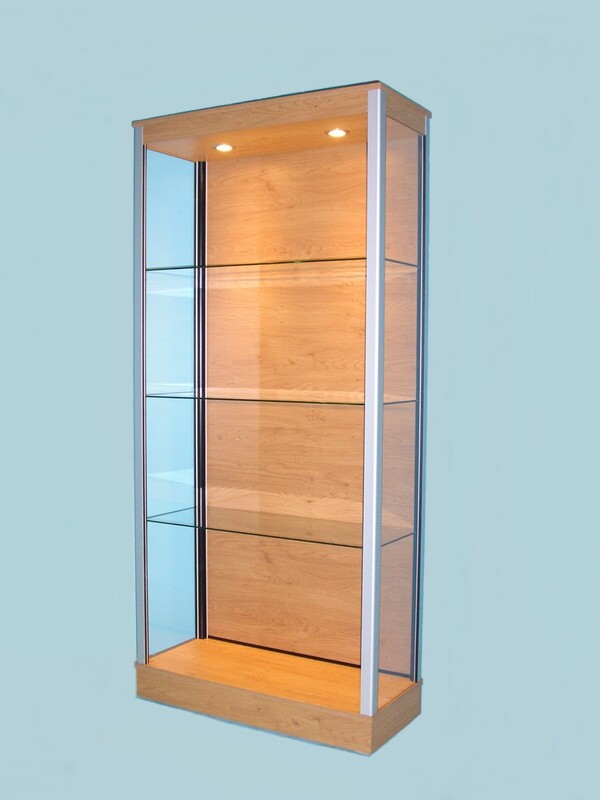 You can easily have one of these cabinets fitted with a mirrored back to give further enhancement to viewing your treasured possessions as we build all our display cabinets to order for you and can simply change the dimensions, finish, lighting and almost anything else you may desire. 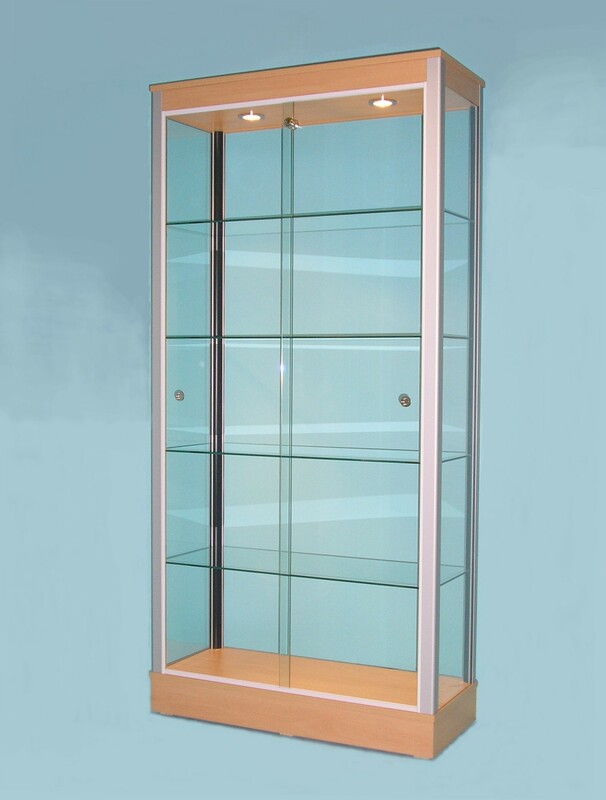 MODEL D10 – LARGE GLASS DISPLAY CABINET. 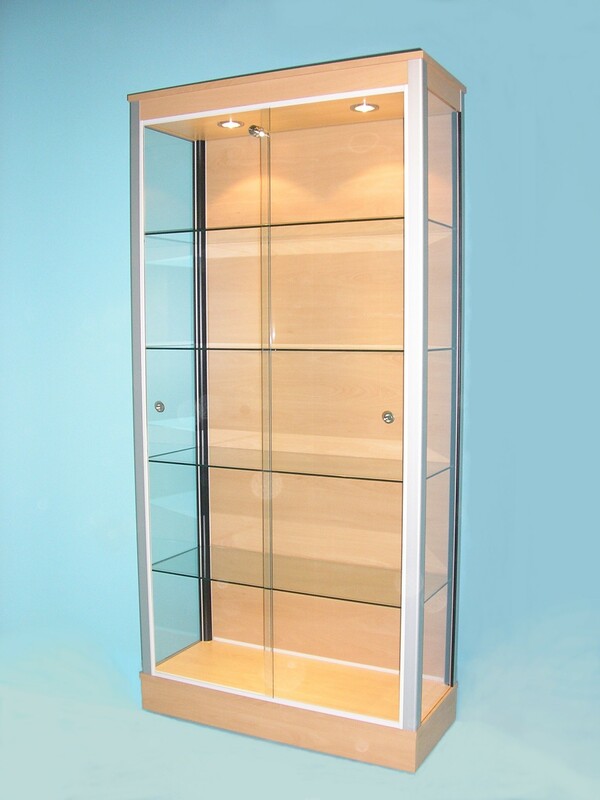 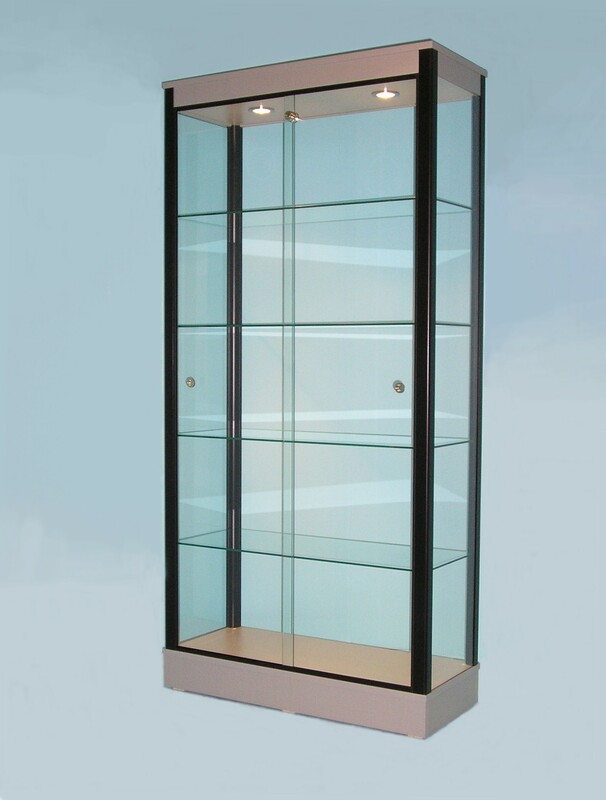 MODEL D11 – LARGE GLASS DISPLAY CABINET WITH GLASS/MIRROR.